The Splash Pad is now closed for the season. It will reopen after winter. The Splash Pad, Memorial Park, and the Township Hall are all located at 17425 Red Arrow Hwy. 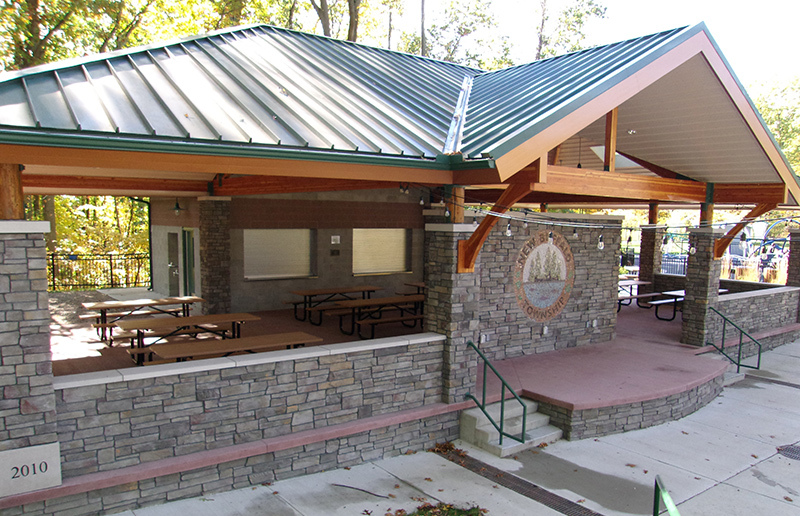 Accepting Pavilion rental reservations for Township residents and property owners beginning in January of the current year. Others may start applying in April of the current year. Pavilion reservations may be made for dates from May through October, depending on availability. Please note reservations are for the pavilion area only, the rest of the park remains open to the public. Reservations cannot be taken over the phone nor a spot be held, you must physically come to the office to sign form and pay (no cards accepted). Glassman Park consists of 47 acres of property that stretch along the side of the Galien River. The park features a kayak launch, walking trail, zen labyrinth, and river look out points. The Glassman Park entrance is found at the end of Glassman Rd on the Northwest side of the road.